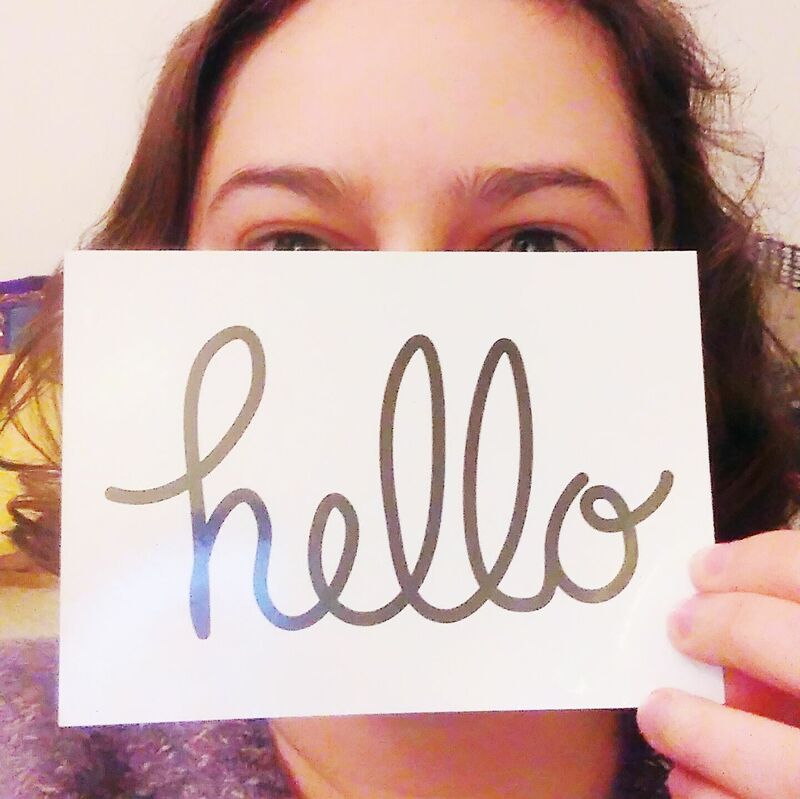 I like to make things for my parents, I think they enjoy being able to say that I made whatever it is. Or I hope that’s the case and they’re not just being nice! I find making for men harder, they don’t seem to need pouches or bags, although I’ll admit there’s only so many small sewn storage solutions that anyone really needs… So this year I made my Dad a stocking – and then got carried away putting little things in it but that’s a separate problem! 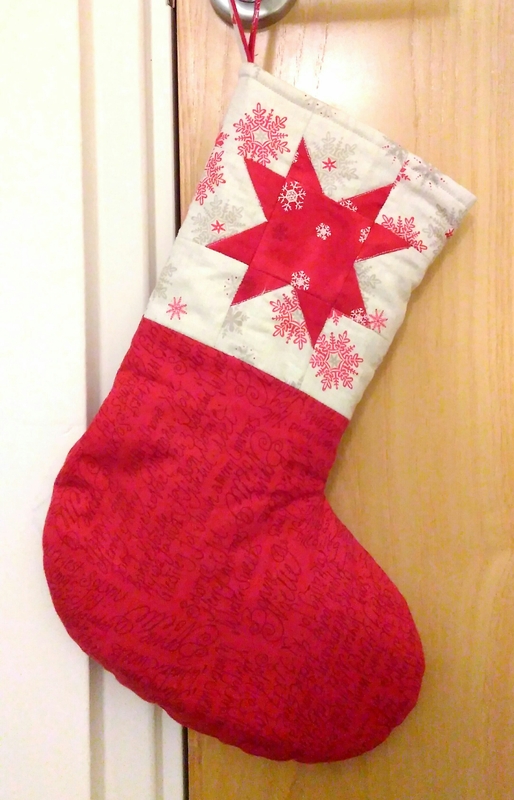 I did a quick search and found an idea for a stocking with a quilted star here. I just took the idea from the pictures. I learnt how to make stars whilst working on my quilt, and they’re a quick pattern to add festive detail. 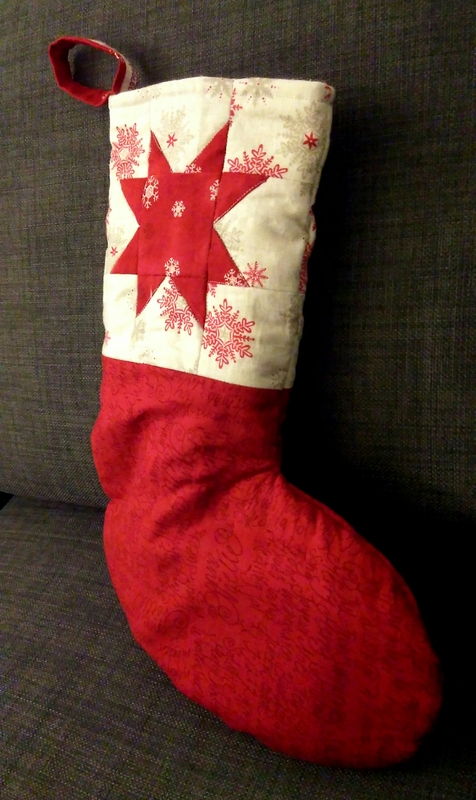 I made my stocking 15m/ 8″ across the top then drew a stocking shape to add to the star block on each side. 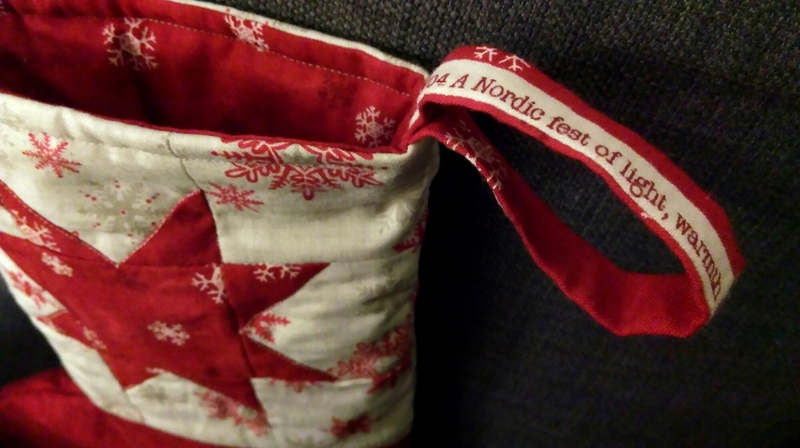 I used 3 festive fat quarters – a red and a white snowflake pattern and a red Christmas text pattern. I used the great selvage to make the hanging loop. There’s often wonderful little details next to the manufacturer and fabric details. I’m really pleased with how it turned out. Now there’s only one day left before I hand it over! 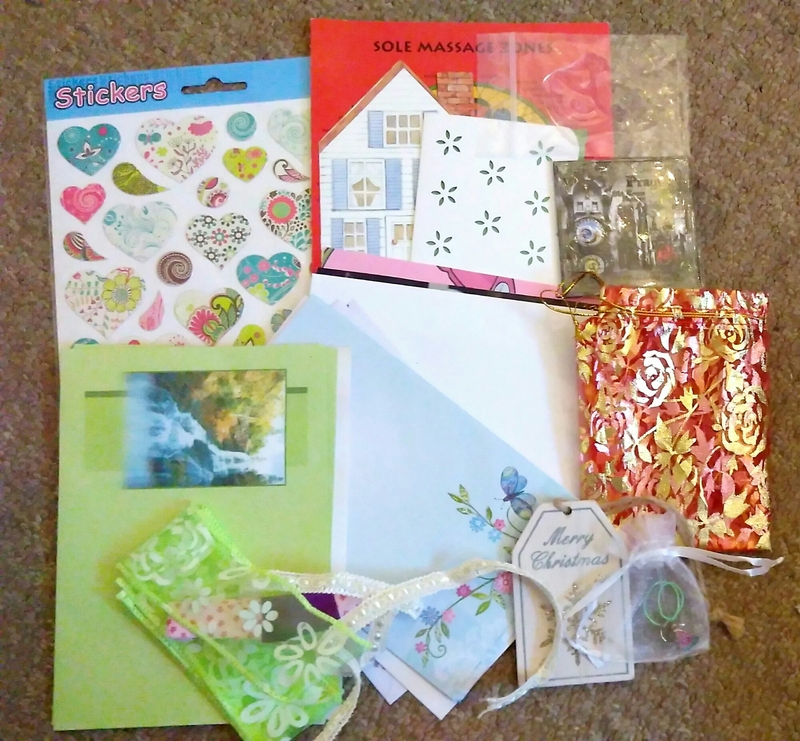 I’ve been busy opening my many Swap-bot advent calendars this month 🙂 It still feels surreal that Christmas is so close, so it’s been a regular surprise that there’s little gifts everyday, which is nice but also serves as a reminder of my terrible memory and inability to adjust to new activities… I took a few quick pictures before heading to my parents place for Christmas. I brought the final few days with me, and now there’s only one day left to open! I’ve been enjoying this calendar. 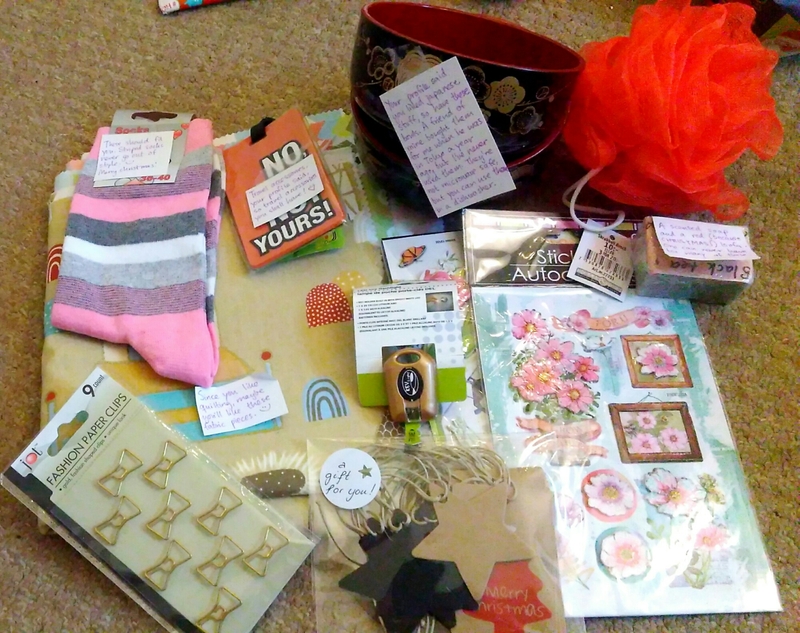 I had one particularly generous partner who sent fabric, socks, a baggage tag, Japanese bowls and a soap and wash puff set 🙂 I’ve also received fun paperclips, tags, a key light and some scrapbooking style stickers. 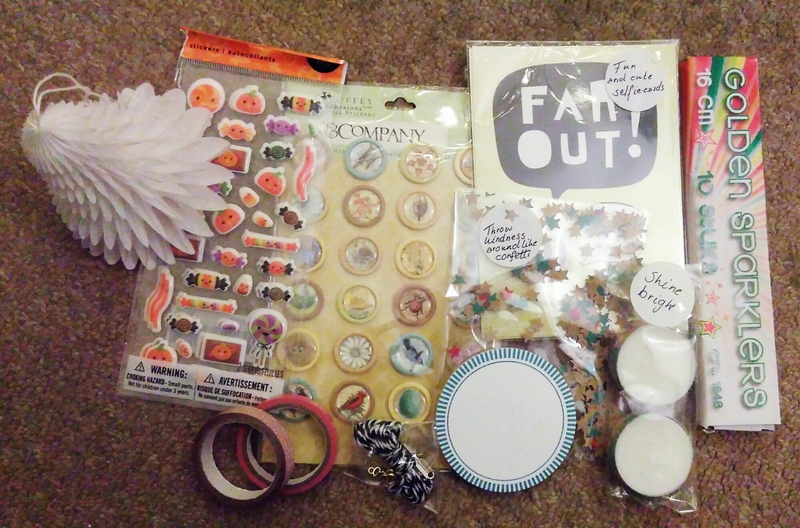 Lots of nice goodies here! 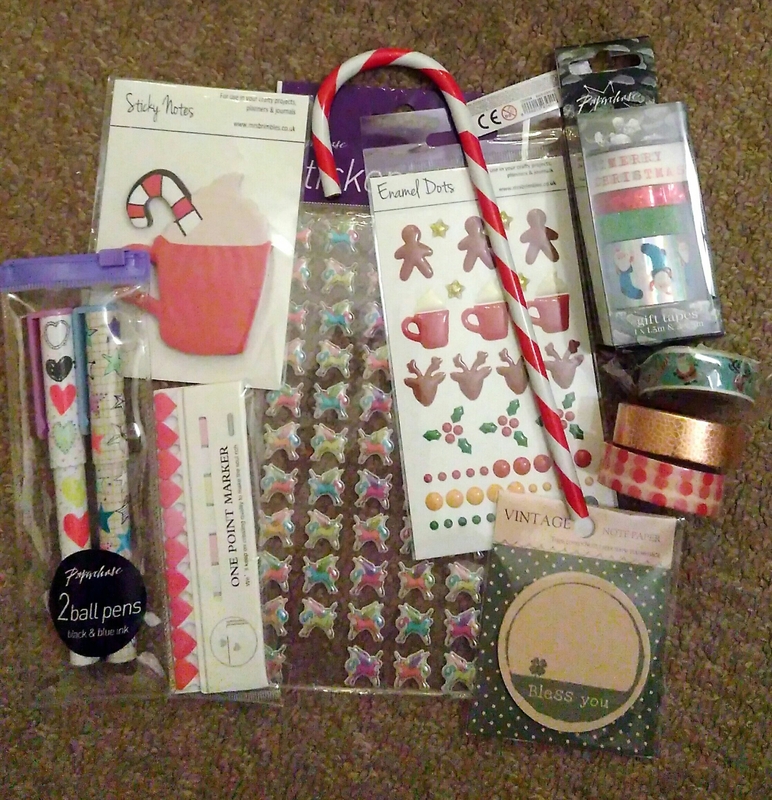 Stickers, sticky notes, lots of great tapes, pens and a candy cane pencil! I’ve already started using some of the tapes and stickers 🙂 A pegasus is the closest thing I had to a unicorn! 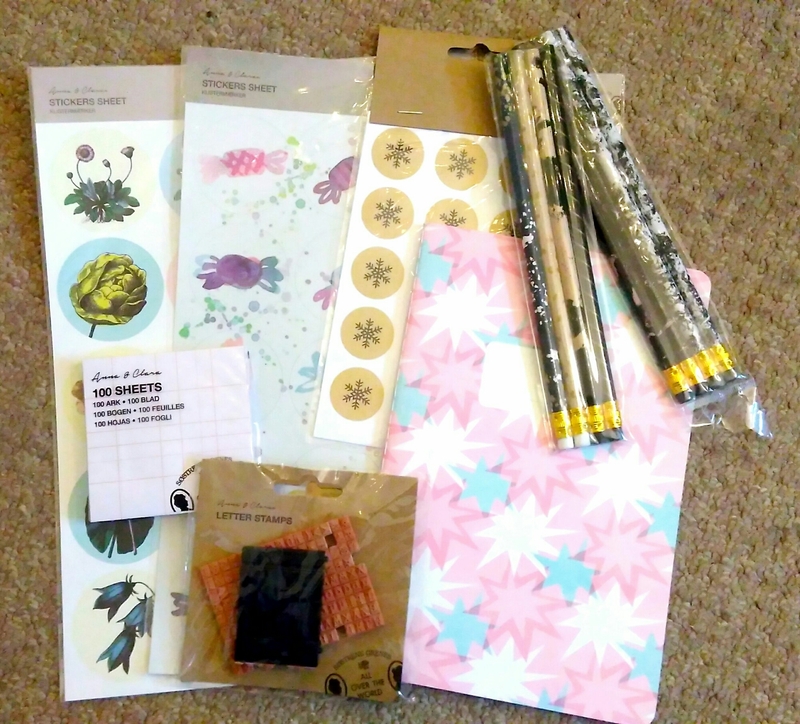 More lovely tapes, including a Moomin tape, a couple of bookmarks, a little notebook, nautical themed ribbon, candle, note cards, and a fountain pen. 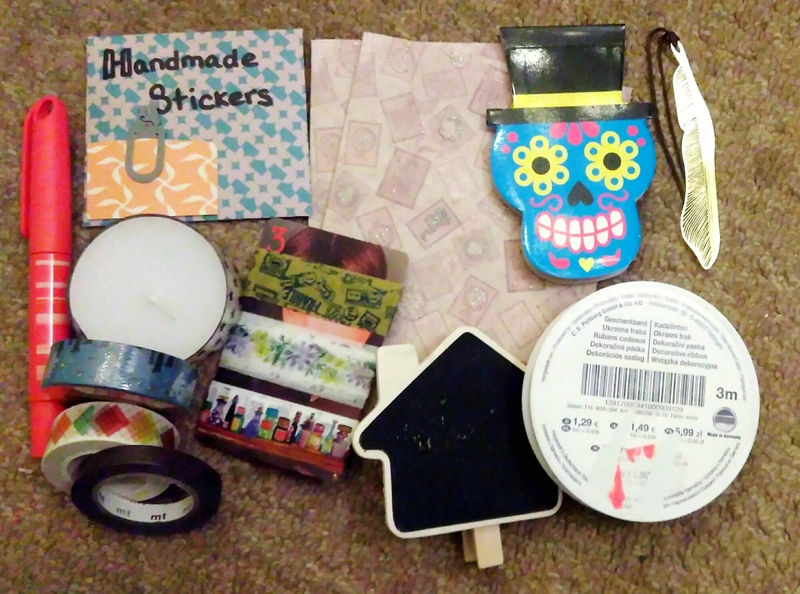 I’m finding this one a bit mixed…I love the gold leaf bookmark and the patterned tapes, but the dark tape and the pen appear already used – I think I’d mind it less if it wasn’t so obvious!